The connection between nature and one’s identity as well as the idea of landscape as a component of national belonging is a subject that everyone has a personal relationship with. The series approaches these themes in the context of political displacement. The series tells about Rwandan refugees who have escaped to Europe and about the memories of their original homeland. 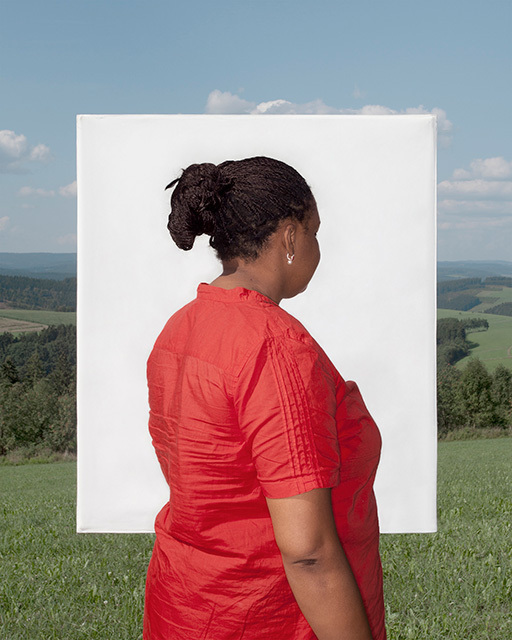 It portrays Rwandans in several European countries and the landscapes of their memories in Rwanda. The portraits, landscapes, and interviews form a cohesive entity that considers the relationship between homeland, landscape, and identity while recognising the subjectivity of memories. At the same time the complicated history of Rwanda and the recent human rights situation is reflected in the personal histories of these people. They lost their original homeland but finally they found new home countries in Europe. Their experiences have made them world citizens. In the end the main question of the series is whether home is just a mental image for us all.